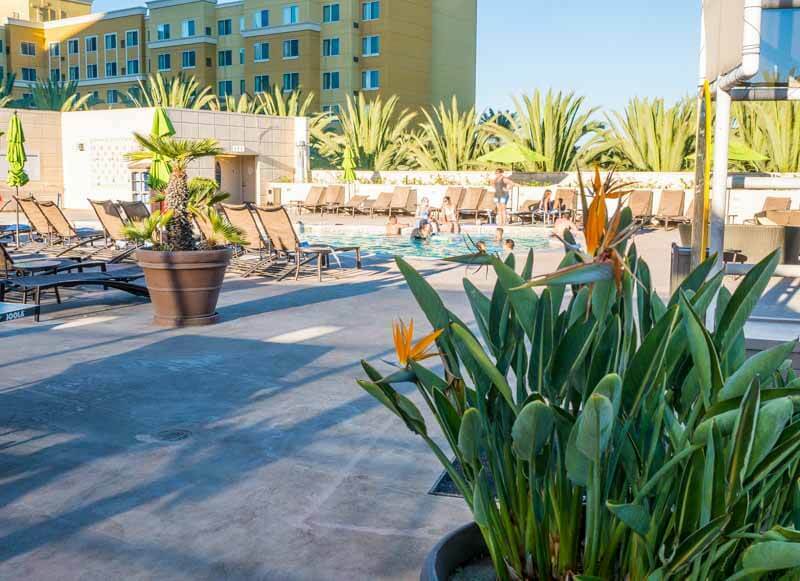 Disneyland® Hotels in Anaheim are popular with our readers! 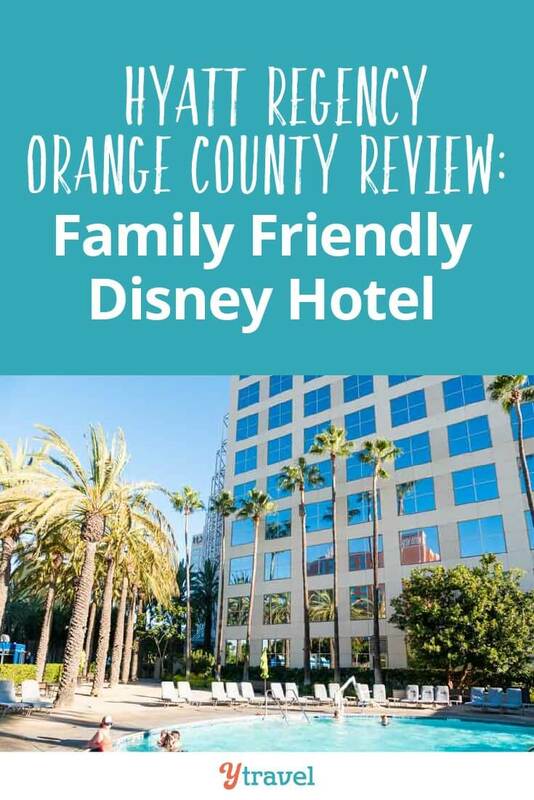 So once we knew we would be spending close to two weeks in Anaheim and attending Disneyland®, I knew I wanted to experience as many hotels near Disneyland® as I could to offer insights as to the best family-friendly Disney hotel to help you choose. 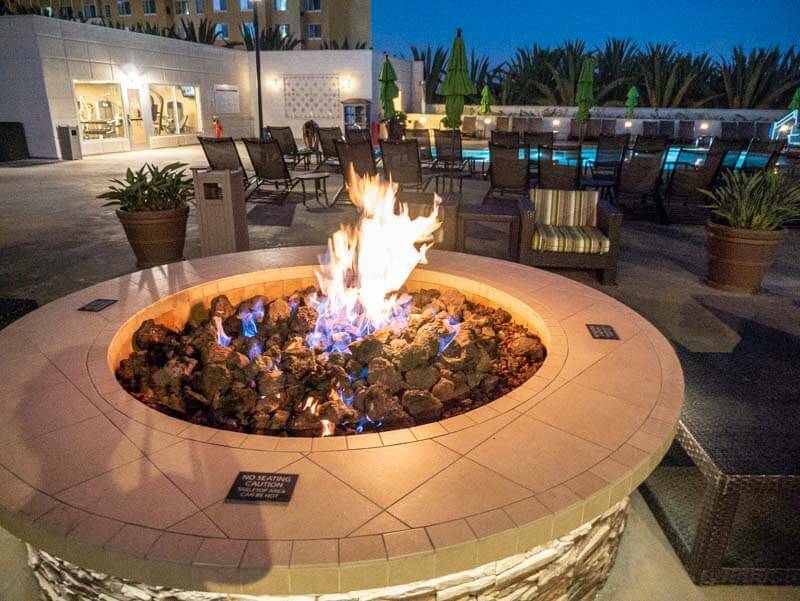 While I think that is debatable, I can definitely say that the Hyatt Regency OC is a good choice for families when staying at Anaheim. 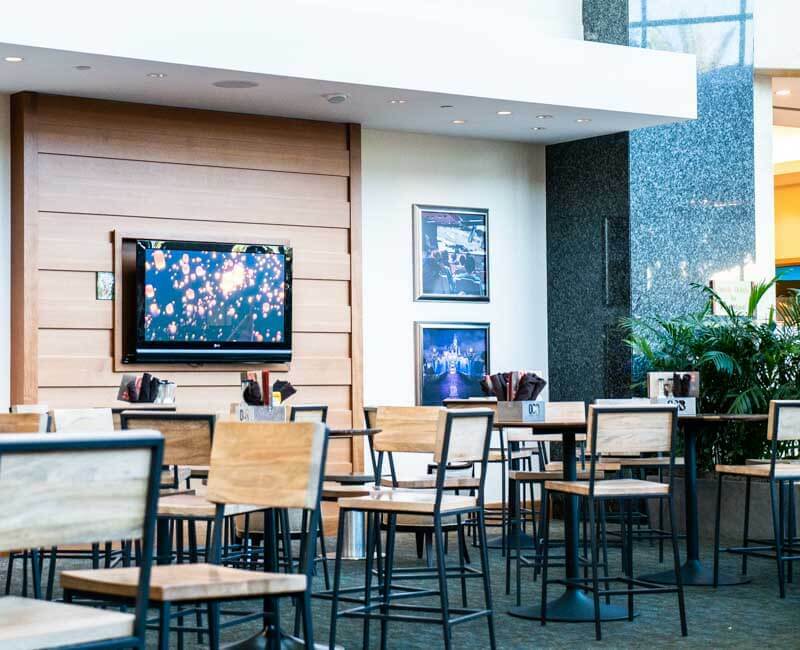 Let’s have a closer look to see what makes it a good choice for your Disney hotel. 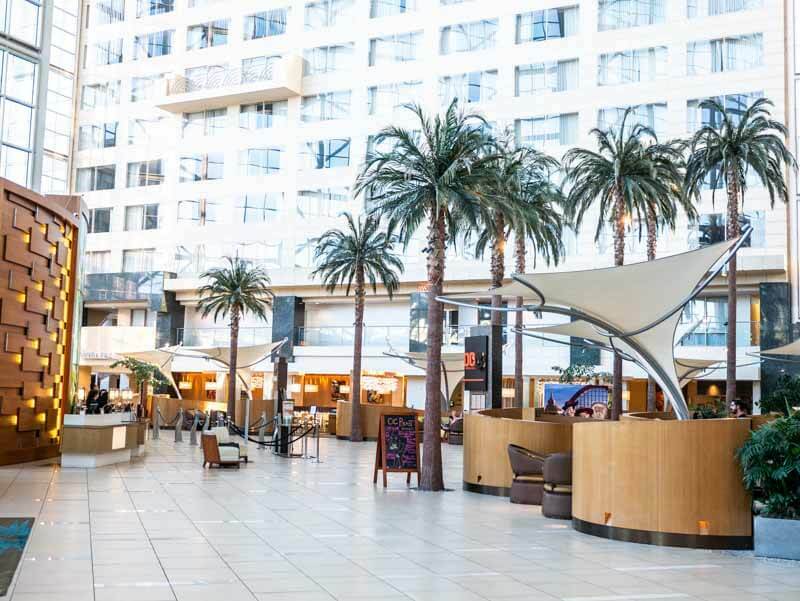 I stayed as a guest of the Hyatt Regency and Visit Anaheim. 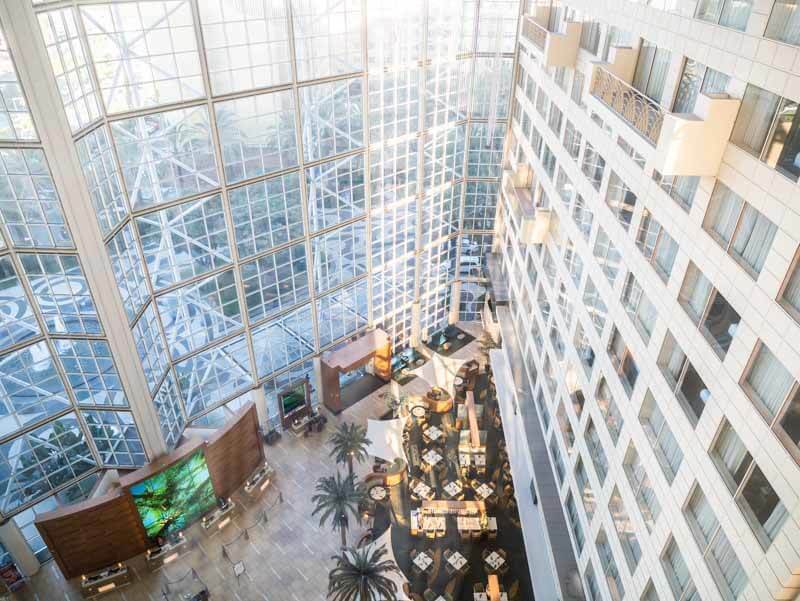 The Hyatt Regency has two towers that are joined by a spacious 17-story glass atrium lobby. The natural light, palm trees and natural woods creates a dramatic first impression and a Zen like atmosphere and first impression. The foyer is where you’ll find the hotel restaurants, gift shop and Starbucks. I found the check in staff to be very friendly and accommodating, which was welcome after a long flight. 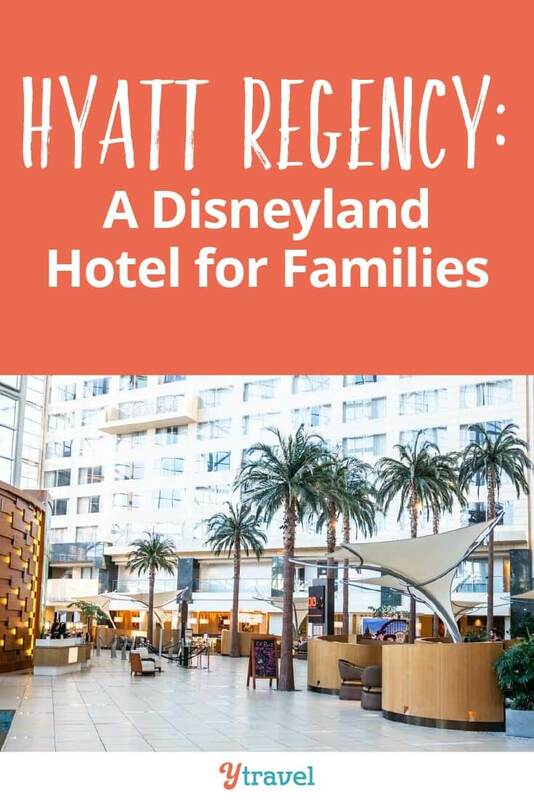 The Hyatt Regency is a Disneyland® Resort Good Neighbor Hotel, which means the hotel features a Disney Desk in the lobby where you can purchase theme park tickets in advance and offers a convenient shuttle for guests to take to the Disneyland theme parks. The hotels shuttle service will take you to Disneyland and California Adventure. They leave on the :15 and :45 of every hour, the first departing one hour before the theme parks open. 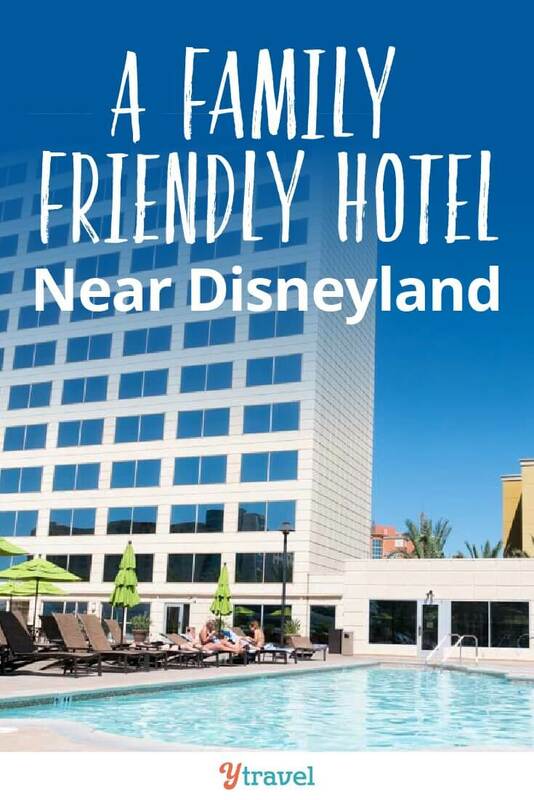 Well you are near Disneyland® so of course it is a hotel with a good location. 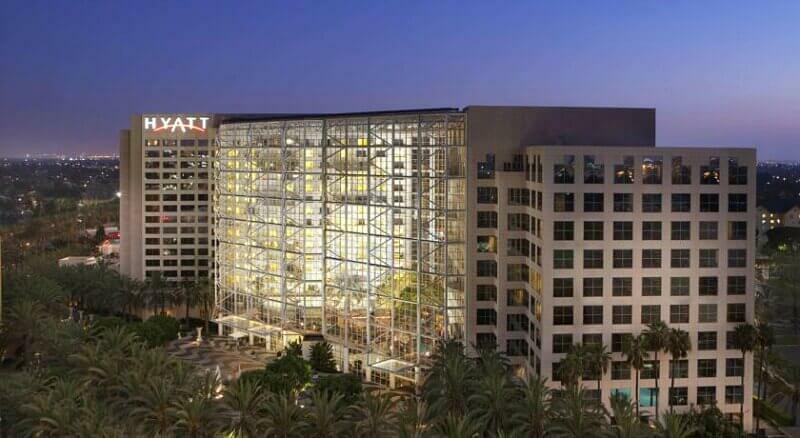 The Hyatt is located in the Garden Grove area of Anaheim. You could walk to Disneyland® from the Hyatt, but it would take you about 40 minutes. I don’t recommend it if you plan on spending an entire day walking around the theme parks. Just so you know we walked an average of 11 miles (17 kms) each day in the theme parks!! There is the shuttle of course, and depending on how many in your party, Uber may be a cheaper option. It’s also close the Anaheim Garden Walk, which we found to have better restaurants than in Downtown Disney. 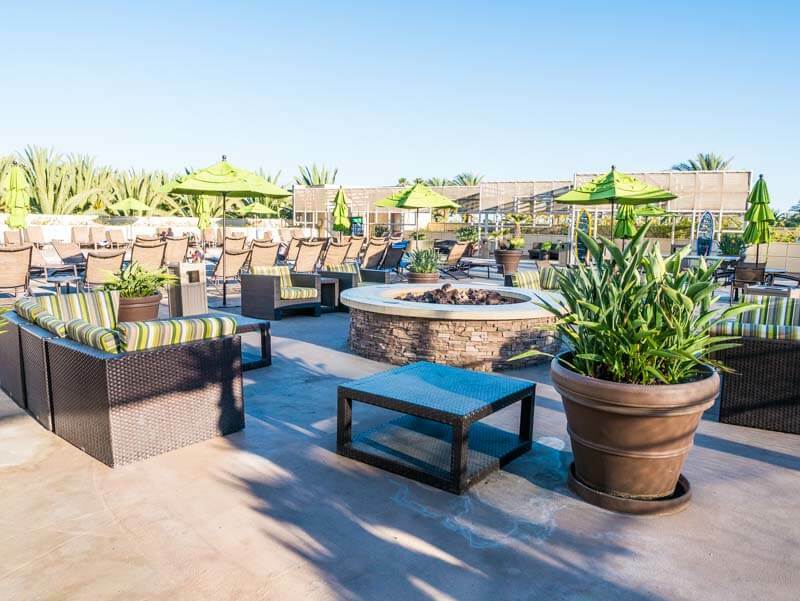 The Hyatt Regency Orange County is closer to John Wayne airport, which is about a 15 – 20 minute ride, depending on traffic. You can take a super shuttle for only $13 per person one way. Ubers/Lyft will be cheaper for large parties, or even a private shuttle transfer. While the main bedroom in my Kids Suite was a little conventional, the kids bedroom was bright and cheerful. I love that the girls would have their own room with bunk beds (and they’d be happy to say TV). Traveling with families can be intense so the room separation is super valuable, especially after spending long days at Disneyland. 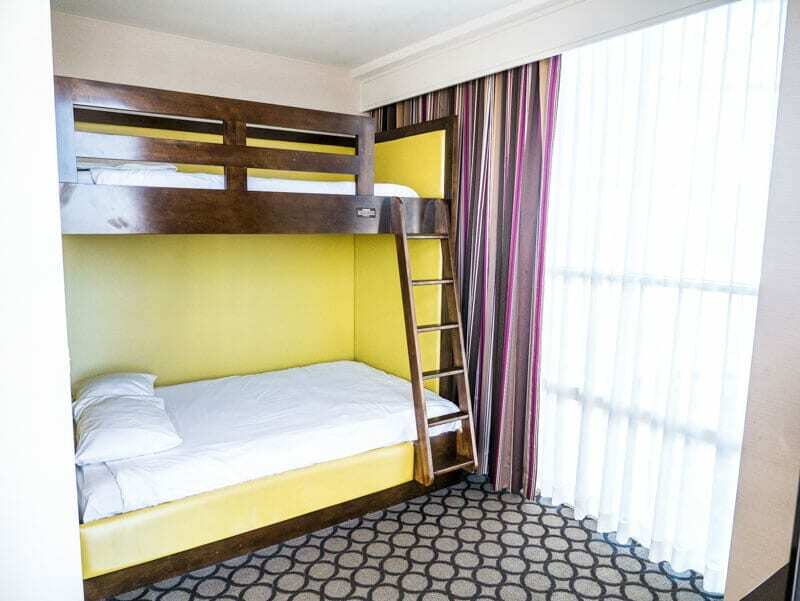 As I am guessing you will be spending long days at Disneyland®, and not doing much else than sleeping in the room, the suite more than adequately caters to your needs. The room had the biggest TV I’d ever seen! Although I would have liked to be smaller, so there would have been more room on the desk for my nomadic office. I sincerely doubt that will be an issue as you are here to clock off for your a Disneyland® trip and NOT working on your computer. There is a microwave and small fridge in the room which can be handy to help you save money on food, especially for breakfasts. Most importantly, the shower works well, and I did not have to phone the front desk to ask how to turn it on. You can see more about what I mean by that in this post on bathrooms in the US! 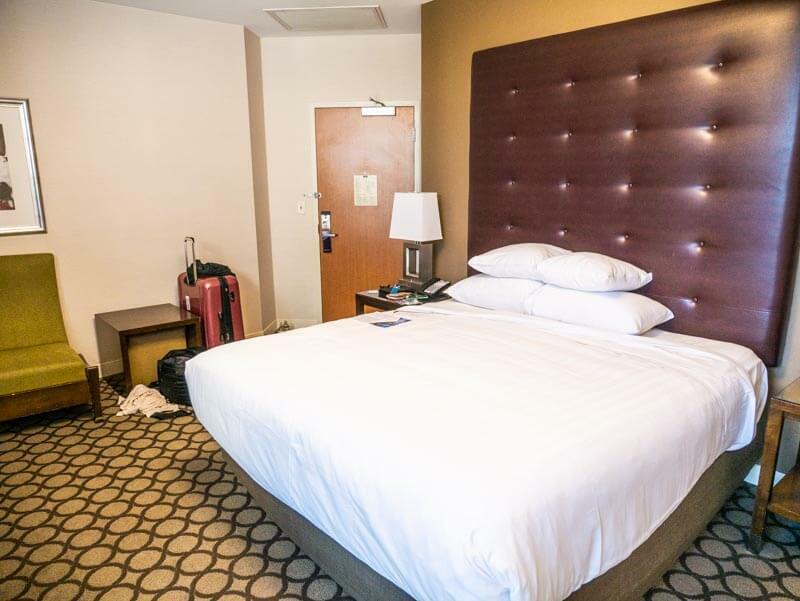 The Hyatt Regency Orange County also has VIP Kids Suites, which gives you a separate living room with sleeper sofa. I think these spacious suites would be the ultimate room if your budget allows. 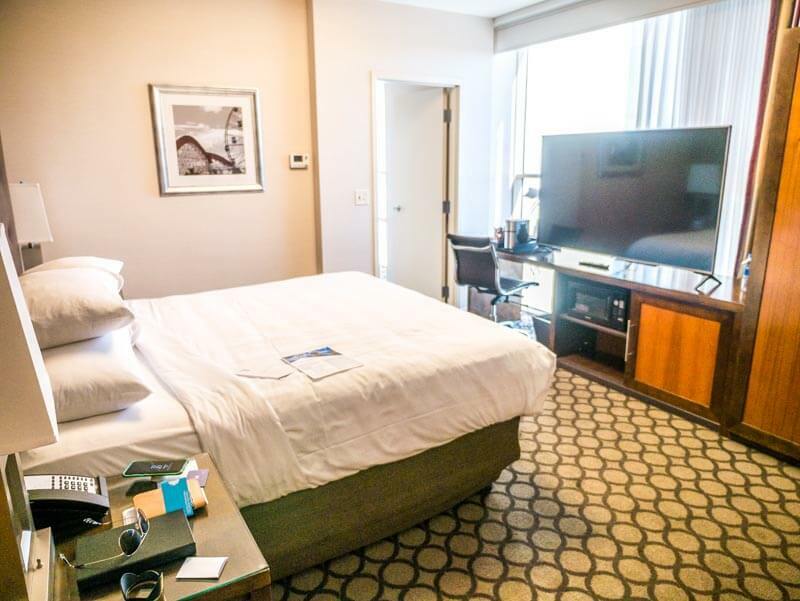 The Kids Suite starts at around $159 a night on average and the VIP Kids Suite around $219 (depending on date your visiting) World of Hyatt members receive discounted rates. I think these rates are of excellent value for what the 4-star Hyatt Regency offers and for being so close to Disneyland. I did just notice on their website a special $100 charge for stays up to 6 nights, and an additional $100 for deep cleaning fees if you stay longer than 6 nights. Definitely do your research on this and ask so you get no price shock. I imagine this is a resort fee, which is very common in the US. It still may make it a great deal and you could possibly use Hyatt member reward perks to help you reduce your costs. The Hyatt Regency offers two swimming pools. 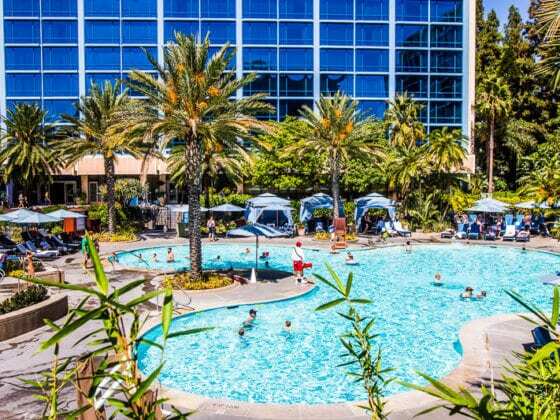 I recommend having some down time on your Disneyland® vacation, so you want to choose a hotel that offers a decent swimming pool area for the kids. 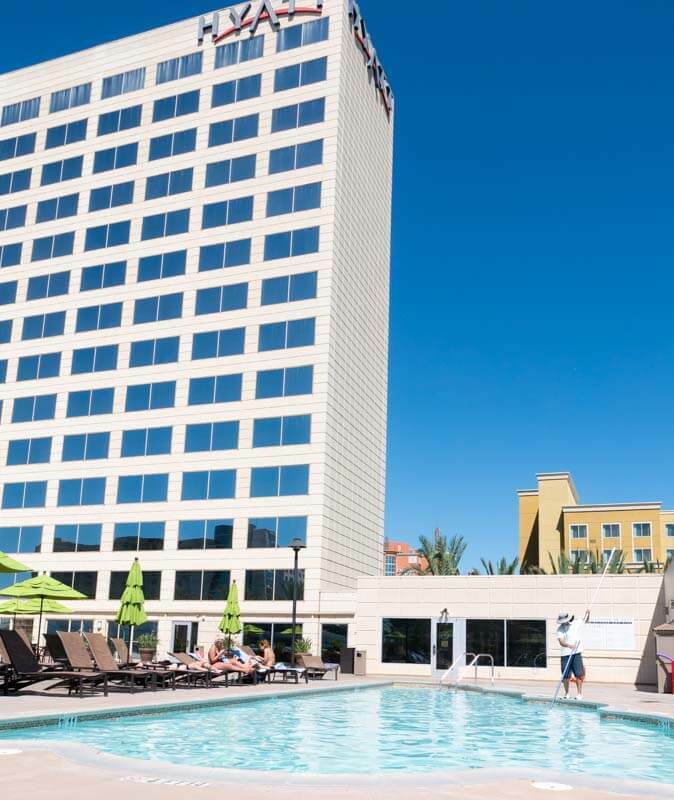 The Hyatt offers two heated pools with a hot tub located in each tower. The North Tower is quieter and doesn’t have anything other than the pool. 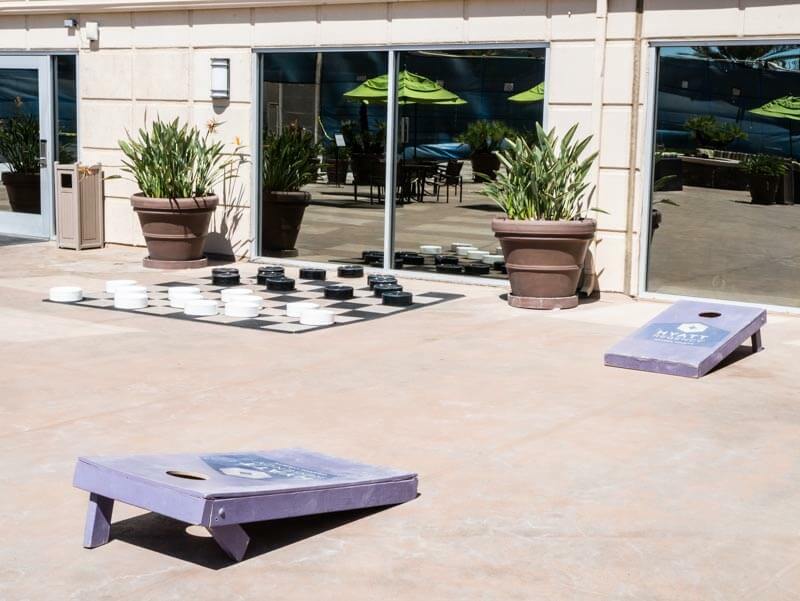 The swimming pool area in the South Tower also has a fire pit, oversized checkers game, ping pong table, and Savannah’s favorite, corn hole. They were renovating the recreation area while I was staying, but normally it also includes a basketball court and tennis court. One of the girl’s favorite things to do is enjoy s’mores over a campfire. It is one of the things they are most looking forward to do a lot of on our travel trailer road trip across the US. 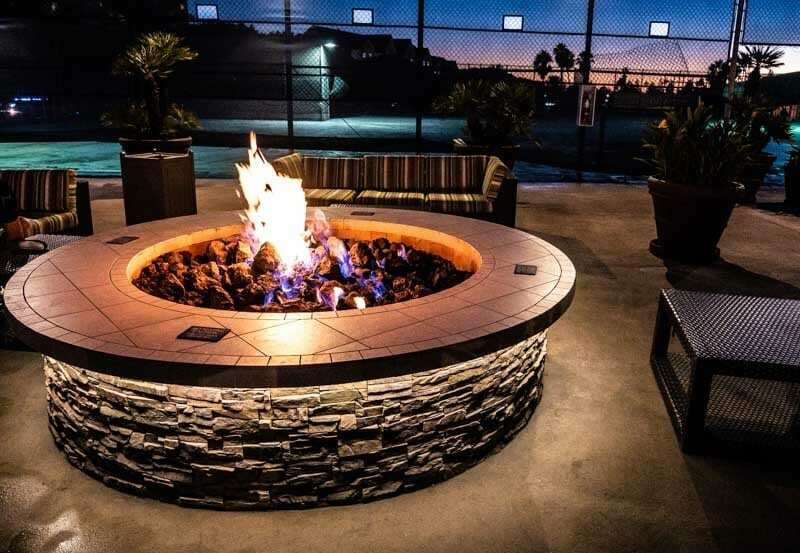 You can purchase s’mores kits for the glowing fire pit in the South Tower pool region. It’s a nice place to sit under the stars to unwind from your day at Disneyland®. The hotel offers complimentary Wi-Fi. Hyatt loyalty members can get access to free premium internet as well, so be sure to join the loyalty program before you check in. Don’t forget to consider using a VPN when using public WiFi. Learn more in this post. 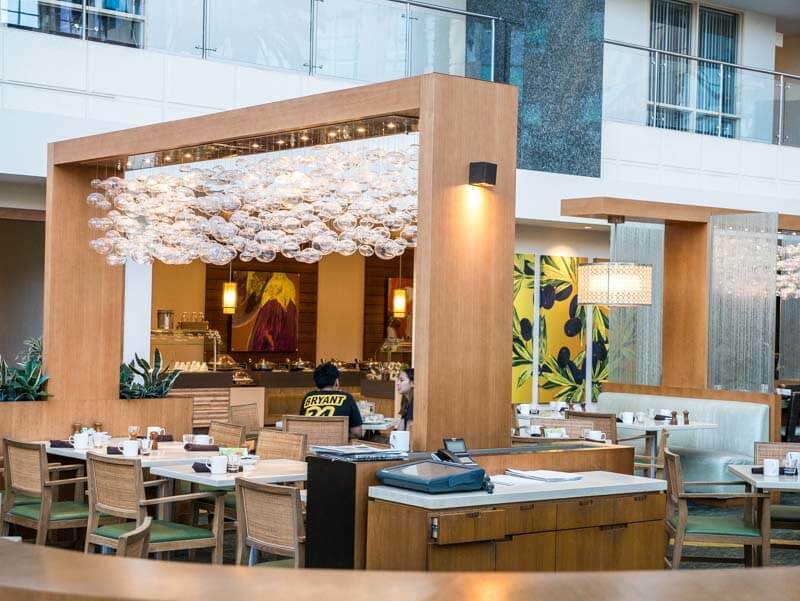 The Hyatt Regency Anaheim has plenty of dining options with gluten free and vegetarian options (thank you). The O.C. Brewhouse features Southern California microbrew drafts, signature cocktails, burgers and an expansive menu of pub grub. My grass fed beef burger at the brewery was delicious as was the side of vegetable. Yes. I get excited by healthy vegetables! 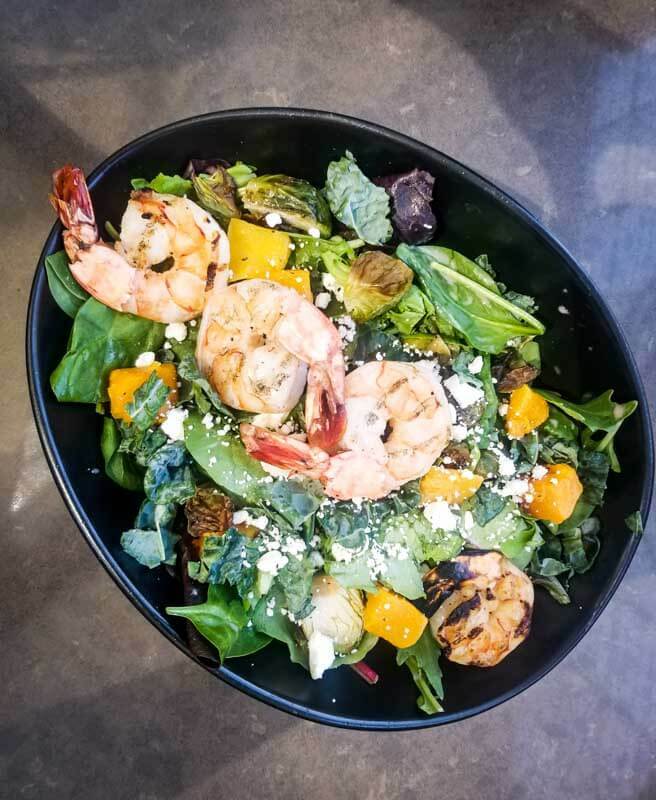 I also had a delicious shrimp salad. They show movies for kids in the restaurant so parents can relax a little while the kids enjoy a movie and good food. The Tucsca restaurant had a wide variety of breakfast choices and were accommodating to my dietary requests. My breakfast of poached eggs, avocado and sautéed mushrooms over arugula was delicious. My only dissatisfaction was to see a 2% surcharge to cover for the rise in state minimum wage. I don’t know if that is a California thing, but it annoyed me and I didn’t see it happen anywhere else in Anaheim. I’m happy to see minimum wages raising but this is a cost of business that consumers shouldn’t be paying a surcharge for! The prices to stay in hotels, including eating at the restaurants, are high enough. I have given this feedback to the hotel, so hopefully it will change. There is good news for families eating at the Tusca restaurant. 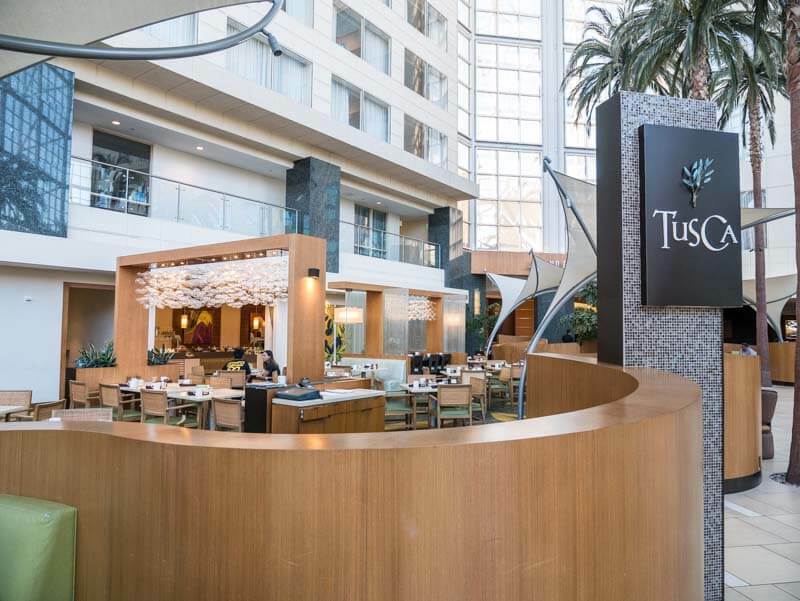 Kids 5 and under dine free at Tusca for breakfast and kids 6-10 receive a 50% discount. Eating out at Disney can be expensive so this is a fantastic perk for families. There is also Starbucks in the hotel with fresh made-to-go items at a decent price and an express Delivery menu. Delivery charges apply so I’d just walk down from your hotel to order and take it back to your room. You can also use the pool phone to order food and have it delivered to the pool area. 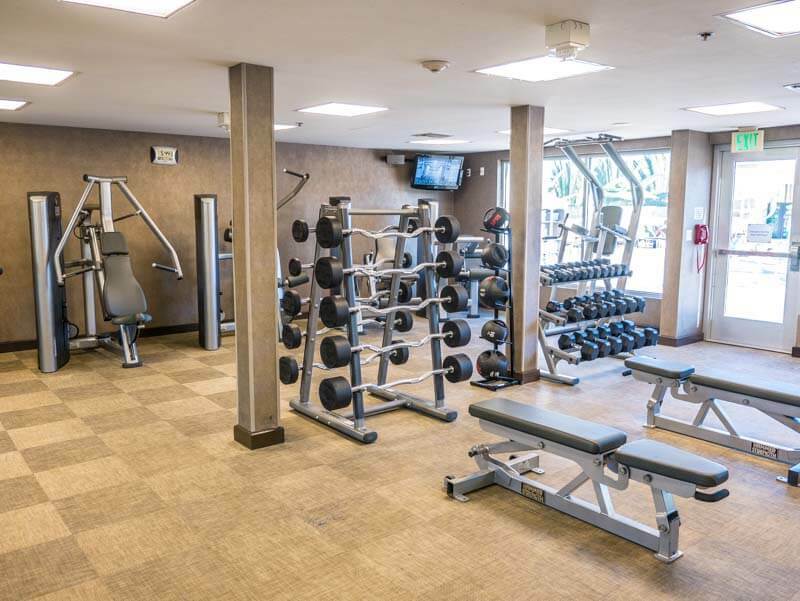 The Hyatt Regency’s fitness center was one of my favorite things about this Disneyland® Good Neighbor hotel. After just spending two months of intense workouts at my local gym and my personal trainer, I really don’t want to see my fitness slide on my Disneyland vacation. This fitness center had everything I needed for my workout routines: free weights, weight machines, bosu, medicine balls, as well as elliptical and running machines. It’s large and spacious so I wasn’t working out on top of other people. You could easily visit for a quick, yet effective workout before heading into Disneyland theme parks for the day. So all in all I think the Hyatt Regency is a great place to stay for your Disneyland vacation. It’s comfortable, spacious and offers a few extra family friendly perks. It’s is also a pet friendly hotel. 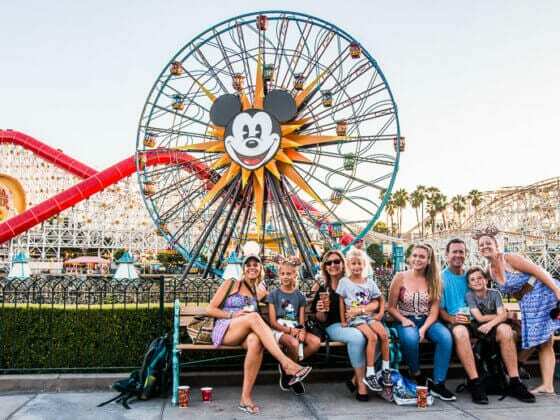 The only disadvantage is that it is not as close to the Disneyland® theme parks as some of the other Disneyland® Resorts and Anaheim hotels might be. But, for quality and amenities it ranks highly. 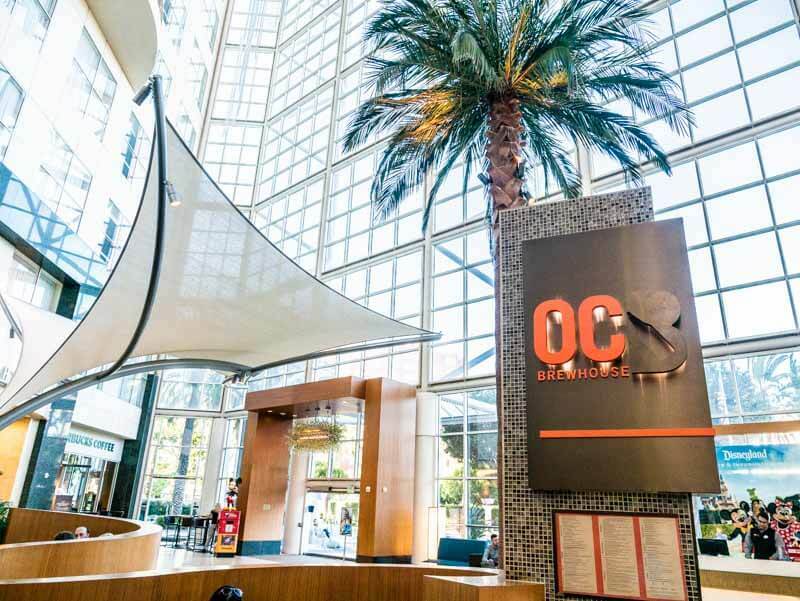 Check this quick video I created of the Hyatt Regency Orange County. Don’t forget to check out our list of 15 best hotels near Disneyland®. The Hyatt Regency Orange County is of course on it! More reviews on Disneyland resort hotels to come. 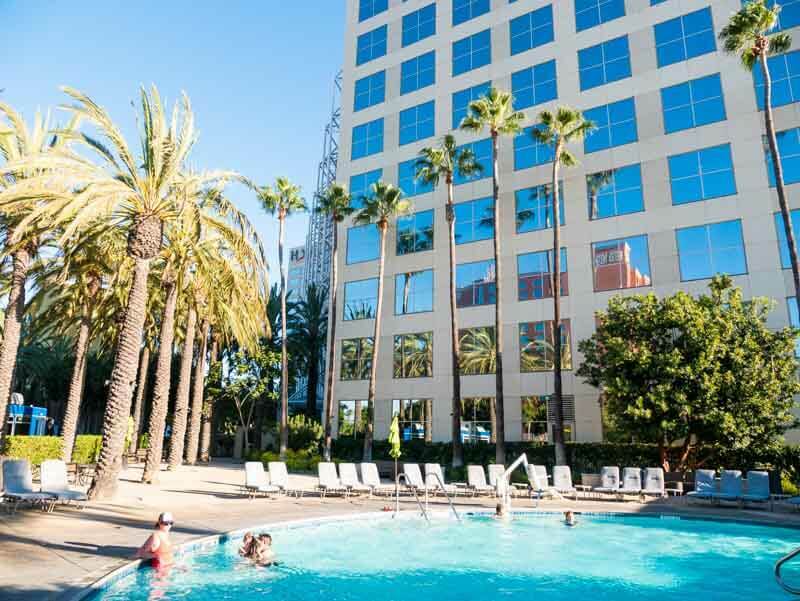 Book your stay at the Hyatt Regency Orange County with our partner, Ares Travel. Read more reviews on TripAdvisor. Find your perfect Disneyland® Package (with savings) here. And combo tickets can be found here. What do you want most included in your hotel stay? 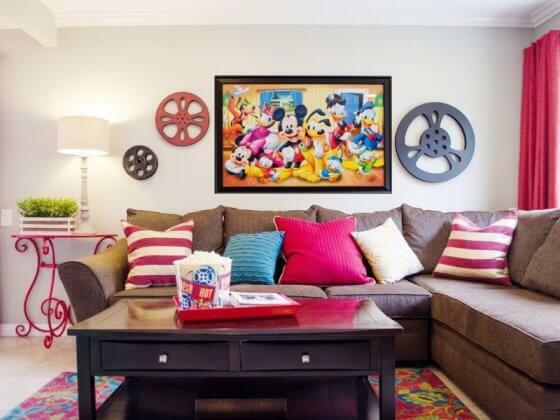 Is it important to be close to Disneyland® or do you want comfort, space and amenities? Hello Caz, nice review, specially I’m a dad now and already took my daughter out and always looking for a family friendly hotel, regarding the Hyatt Regancy I booked a room in Istanbul with Hyatt Regancy, they have nice staff and the atmosphere was great for both parents and kids over there. Thank you for the insights.